This month I have focused on visiting our different programs, meeting with students, and experiencing what they are working on. See below for some of the things taking place! "Greatly improve math skills by focusing on lesson, asking questions, getting help during study hall when needed." "Get serious about the reading. Work harder to find a book she will like and then put the time into reading it in order to improve those skills." "Stop allowing his feeling about the class and the assignments to affect the effort he puts into things. He realizes there is value in all of it, and he wants to work equally well on all things." We are excited to offer our students career training through Goodwill this semester. Goodwill trainers will join our students in the classroom to discuss career opportunities in our community, while also teaching them about paying bills as an adult and what it takes to make that happen as a newly employed young adult. 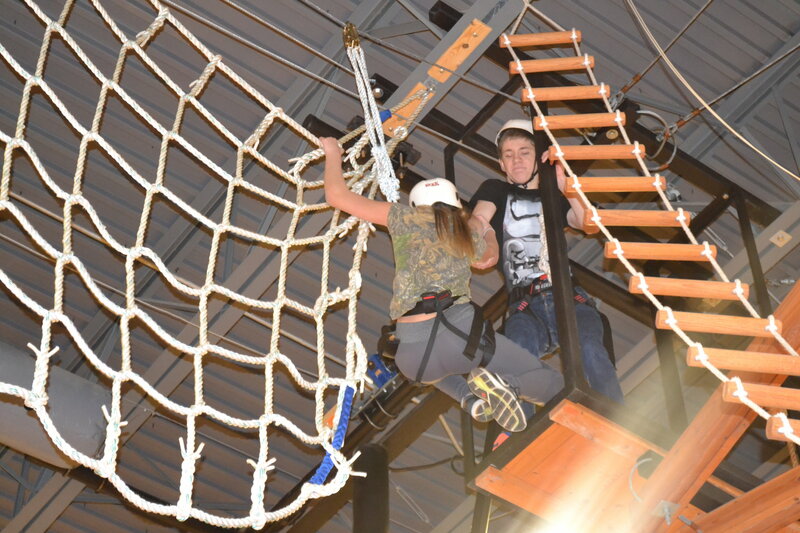 Students in the middle school program work on team building, trust, and overcoming fears at the Pierceton Woods Academy high ropes course. It was also a great way for them to get an entire day filled with exercise! Shelby (L) is looking forward to graduating this year and heading all the way across the country to sunny California where she plans to go to culinary school! 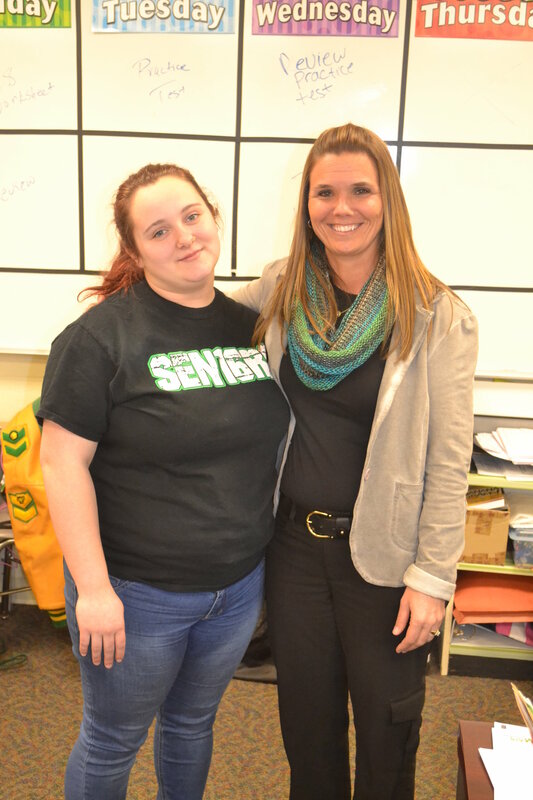 Shelby joined the Grad Coach Program, with Grad Coach Mrs. Trippiedi (R), when she was below her needed credits to graduate. She is now on track and excited to be finishing up this year. She is a hard-working student that has held down her job for two years while also completing high school. We have 144 students fully supported for the current year. We still have 75 students to go! If you have been following our program and want to invest in Gradway students click here. It only costs $200 to put one student through the program for an entire school year! "Wanted to boast in my boy real quick"